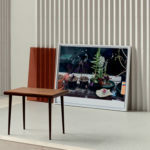 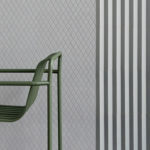 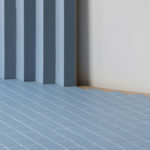 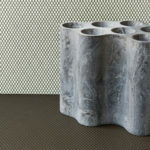 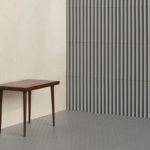 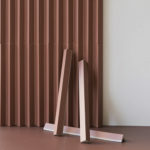 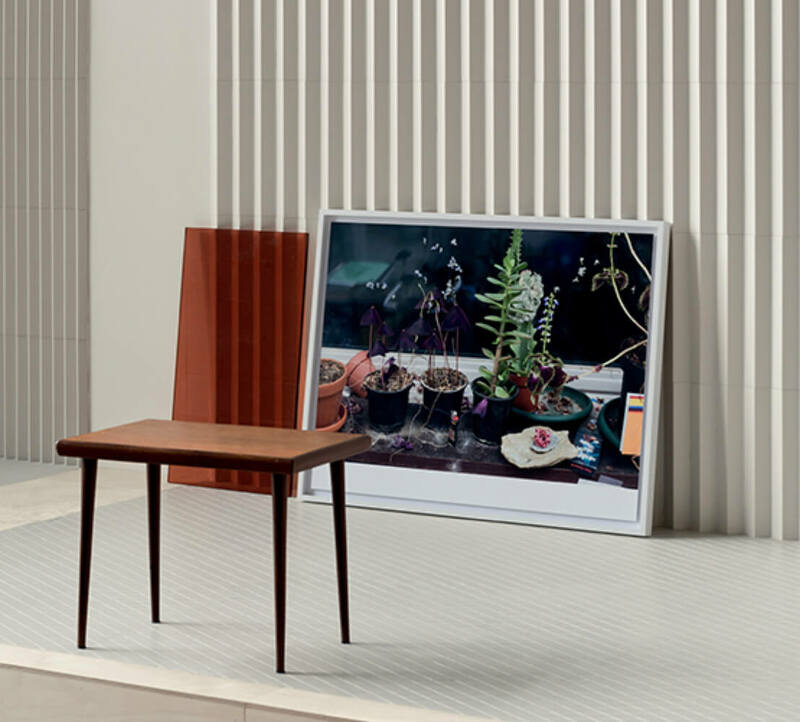 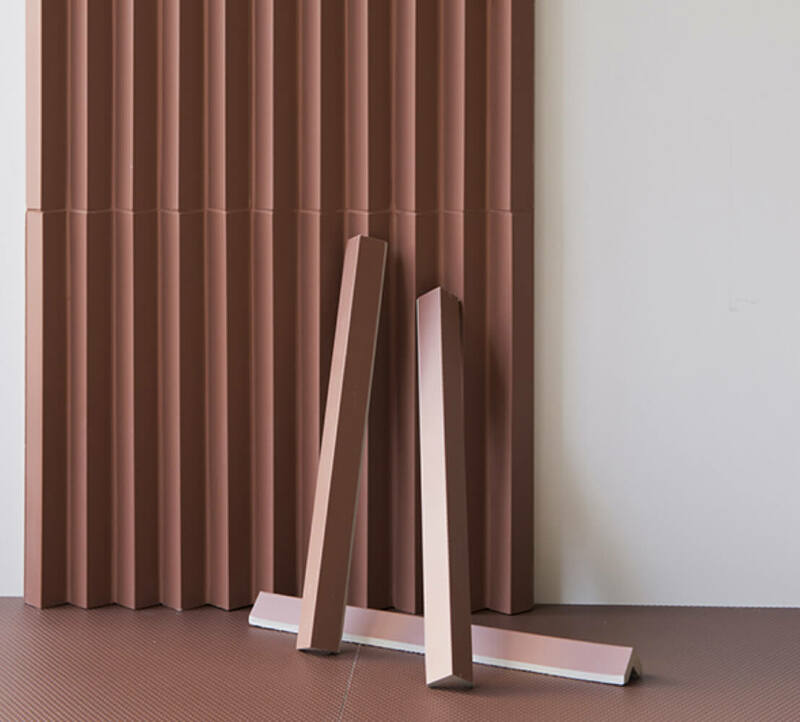 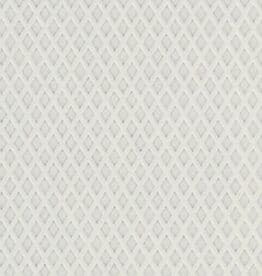 Rombini is a series of glazed porcelain tile designed by Ronan and Erwan Bouroullec for Mutina. 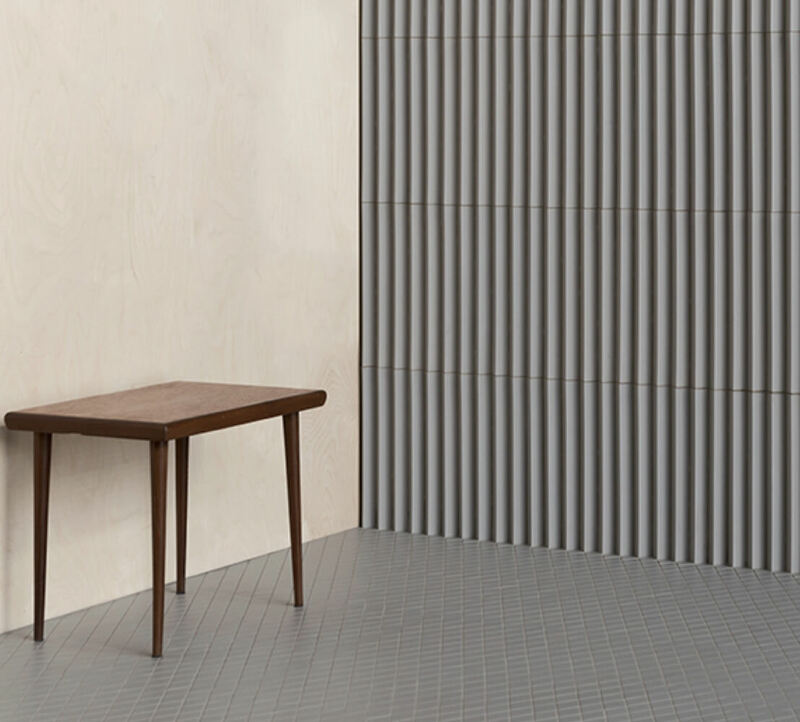 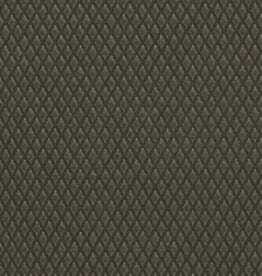 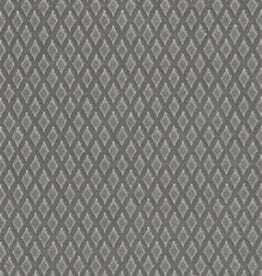 The Rombini collection was designed to convey small vibration patterns. 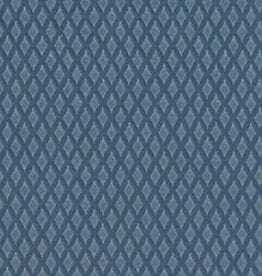 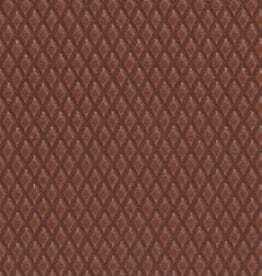 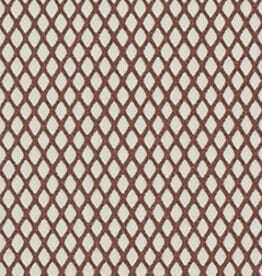 Rombini consists of three styles (Carré, Losange and Triangle) offered in five muted colors, resulting in various combination possibilities and shape configurations. 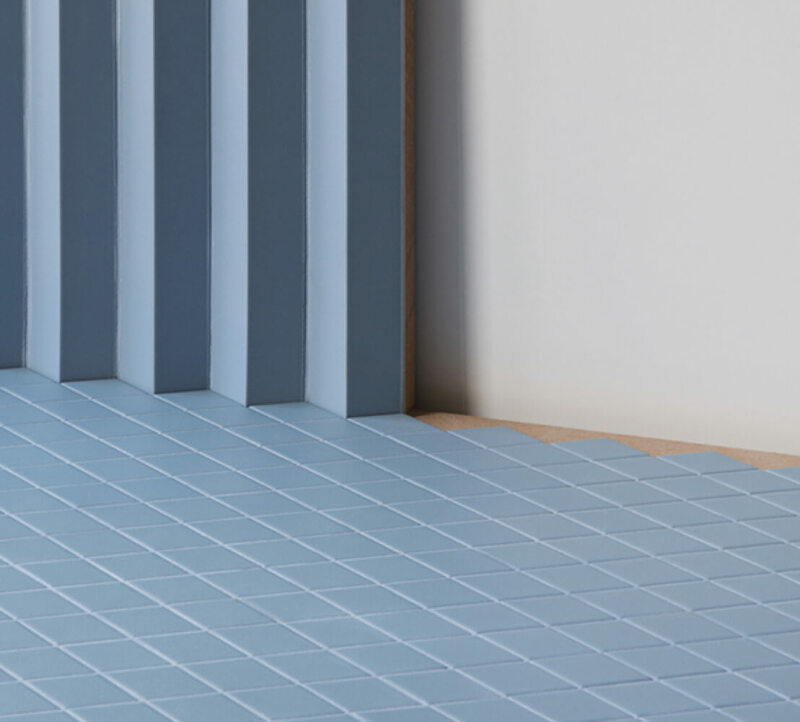 Carré tiles are produced with an embossed diamond pattern and contrasting matte and gloss sections to create an effect of varying color and light. 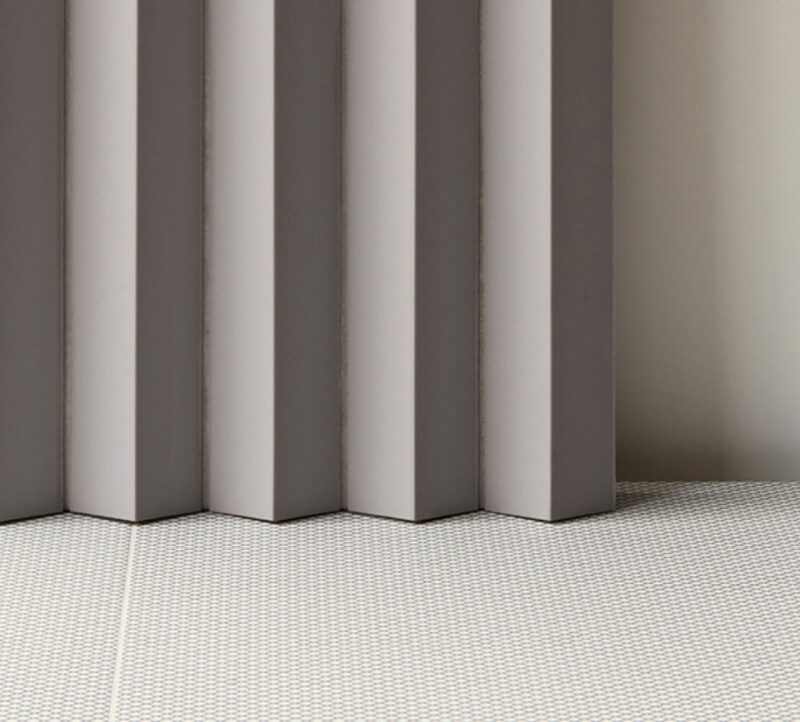 Carré is available in two versions: Uni, where color is evenly distributed throughout the tile, and Light, where color is used to outline a white diamond pattern. 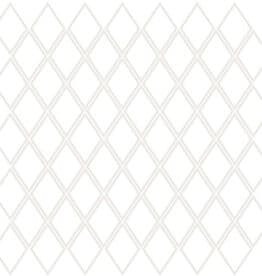 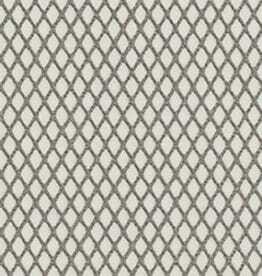 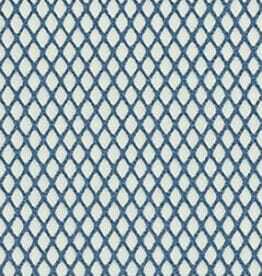 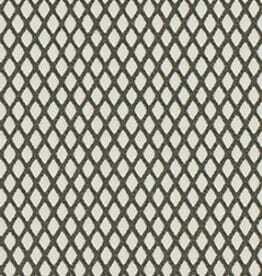 The mosaic-style Losange features a diamond grid pattern and is available in sheets, which can be installed neatly underneath a wall section of Triangle tiles. 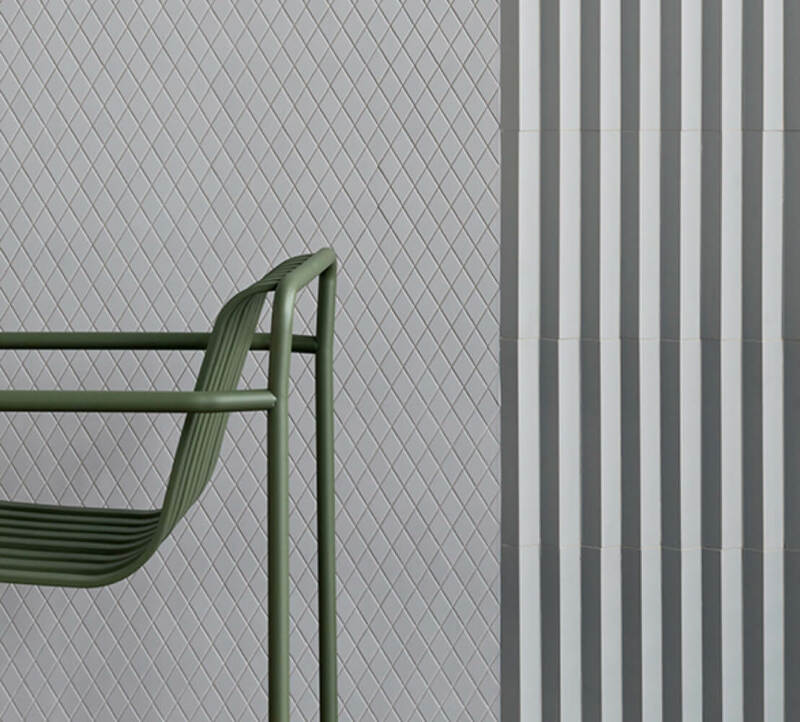 The Triangle wall tile interprets the rhombus shape in a three-dimensional element, offered in both large and small versions that create a zig-zagging, corrugated surface when placed alongside or above one another. 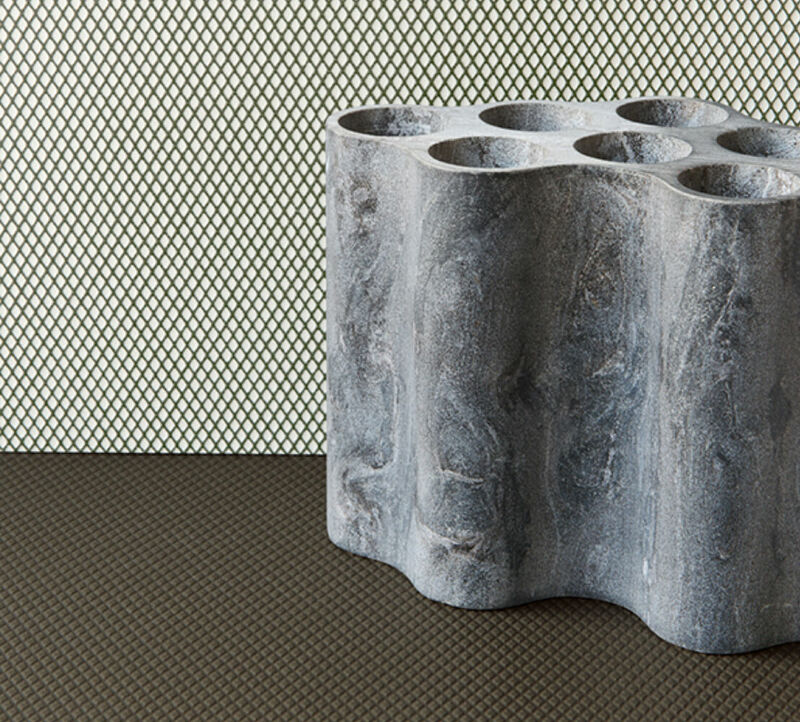 Carré: 16″ x 16″ (15.75″ x 15.75″). 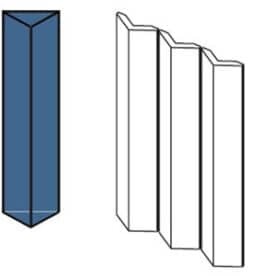 Overall sheet size: 11″ x 10″ (10.83″ x 10.12″). 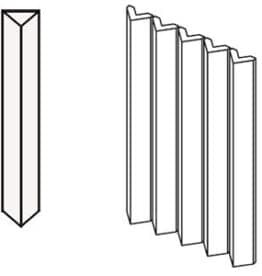 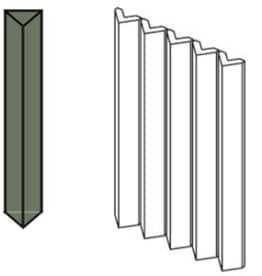 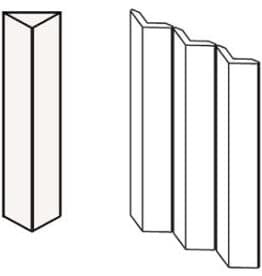 Sheets are produced with a jagged edge.